Paul provided much-needed instruction to the early believers for their new life in Christ. He made many journeys to these churches and later continued to teach from the confines of prison. The phrase “putting shoe leather to faith” could well describe his exhortations. He reminded those in Corinth that their old lives were becoming new. Paul also cautioned the Ephesians not to be foolish. He urged them to be filled with the Spirit of God rather than getting drunk on wine. And He pressed them to submit to God and to one another. You certainly could say that Paul was faithful to cheer on and guide the new believers in Jesus. He urges us, too, to be glad in our hearts as we “speak to one another with psalms, hymns and spiritual songs” (v. 19a). These are not outdated words. Even in today’s world you can hearten another person through Scripture verses (as in the book of Psalms) and song lyrics that have spoken deeply to you. Why are we able to do this? 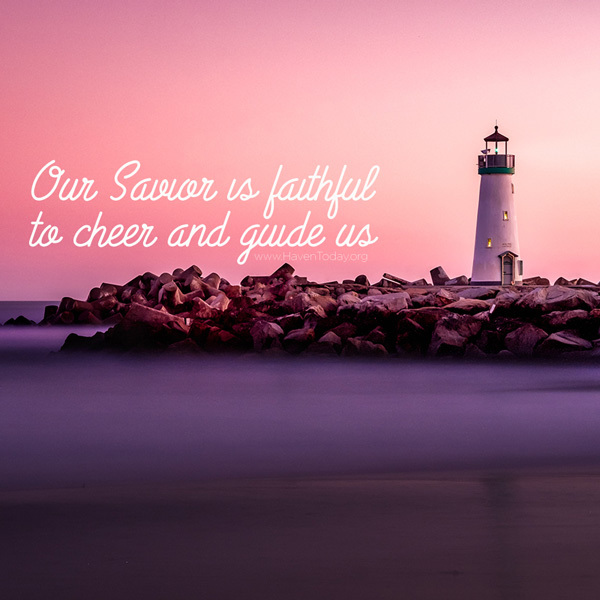 Because our Savior is faithful to cheer and guide us.